For ultra-prime residential properties, ensuring the security measures implemented are network-ready offers more than just security. What are the common physical security threats? Here are the basics for an effective mitigation plan when approach property security. Read on. Ahead of the grand opening, Charter Global recently completed works on the MK Gallery, one of the most bespoke physical security packages. Access the latest Charter Global Guide, created to provide a definitive overview of protecting against blast and explosion, and an overview of international blast standards. Should I be servicing my security shutters? Servicing security shutters is vital for ensuring the safety of both occupants and public. Whilst not compulsory, there are heavy legal implications for failures. A single incident of theft or burglary not in a dwelling will cost the building owner £2,700. Read on for advice on protecting commercial property when empty. Charter Global have produced a Forced Entry Guide to help specifiers understand the real-life implications of the threat of Bodily Force to properties, and how to mitigate against them. As specialist providers, Equilux offer a unique product range that is engineered to solve the problem of compromise for specifiers and architects alike. To raise awareness of residential security and the rising statistics of home invasion, Charter Global provide five tips as part of National Home Security Month. Charter Global was approached to recommend the best course of action against a specialist risk profile. The result? An intelligent approach to layered physical security. Keeping design in thought and security in mind, every element of our new website has been been built to inspire a proactive approach to integrated security. Luxury retailers, by their very nature, house expensive goods that are often a desirable target for opportunists and those who plan severe attacks. Security Tested Roller Shutters – are they the right choice for my property? 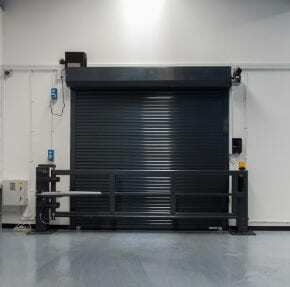 A growing number of property protection products, including roller shutters, are security tested by the LPCB to a range of security ratings. Concealed roller shutters ensure security concerns aren’t compromised whilst adhering to style requirements. Read about some of our favourite projects here. We’re delighted to announce that we have been awarded CPNI (Centre for the Protection of National Infrastructure) approval of our Obexion MD XR product. 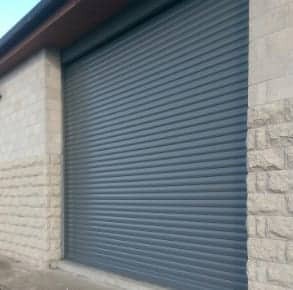 Charter Global have recently installed Obexion Shutters for a client who was looking to strengthen the physical security in a crowded city location. LPS 1175 Security Ratings explained: this is the complete guide to what the LPS 1175 standard really is, why it is important, and what that means to you. Securing a community building should be of top priority to local councils. Read about our best community building security case studies here. RapiDeploy is beneficial for any building that needs to protect assets (people or property) from rapid and dynamic attacks, such as financial institutions. At Equilux, we have experience in offering advice and installing physical security solutions to alleviate security concerns in countryside properties. Hostile Vehicle Mitigation are a group of products which have been specifically designed to withstand a variety of vehicle attacks. At Charter Global, we’ve installed our integrated lintel roller shutters to a range of different building types. Read about our favourite projects here. Obexion hosted a National Security Training Day at Hull University after the success of the installation of security shutters. We take a look at issues that may arise when looking at how to secure a coastal property, and give our top tips to ensure security throughout the year. Insurance can quite frequently become very expensive – here are our top 6 tips to reduce your business insurance premiums. Take a look at Obexion’s video case study where they were tasked with securing a library at Hull University, as part of Hull UK City of Culture 2017. SFT is an independent company, established by the Scottish Government, designed to deliver value for money across public sector infrastructure investment.